On 28 March 2019, Lawyers for Lawyers submitted a report for the Universal Periodic Review of Kazakhstan. In the report, Lawyers for Lawyers expressed concerns about the newly passed law ‘On the Professional Activities of Advocates and Legal Assistance’ for it could undermine the independence of the legal profession. Lawyers for Lawyers also highlighted that the Kazakh authorities do not always uphold the necessary guarantees for the proper functioning of the legal profession in practice. Lawyers are regularly subjected to improper interference or attempts to put pressure on them by members of law enforcement agencies or investigative bodies. Furthermore, lawyers regularly sometimes do not have the opportunity to meet with their clients in full confidentiality. Police in Kazakhstan’s largest city, Almaty, detained several activists and journalists for the second day in a row on December 17. Activists said on Facebook that police detained Bakhytzhan Toreghozhina, the head of the human rights foundation Ar.Rukh.Khaq (Dignity, Spirit, Truth), lawyer Gulnara Zhuaspaeva, the founder of the opposition DAT newspaper Ermurat Bapi, civic activists Rinat Rafkhat, Erlan Qaliev, Suiyindik Aldabergenov, Geroikhan Qystaubaev, and several others. Several activists were not allowed to leave their homes. Police did not explain the reason for the detentions. 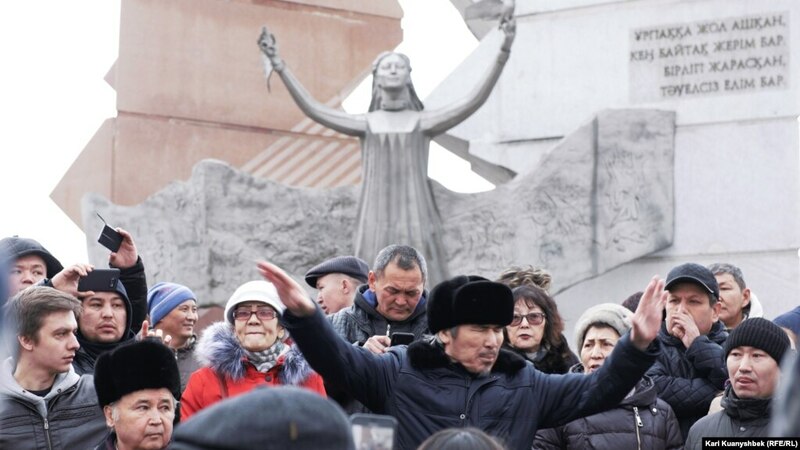 On December 16, police in Almaty briefly detained several human rights activists who attempted to celebrate the 27th anniversary of its independence from the former Soviet Union and to commemorate the victims of police crackdowns in 2011 and 1986. The December 16 police crackdown came as activists attempted to gather near the Independence monument in central Almaty to commemorate people killed by police during oil worker protests in the western town of Zhanaozen on December 16, 2011 and during mass anti-Soviet demonstrations in Almaty in December 1986. 📢 [Story] – Discover the story of #HRDs Max Bokayev and Talgat Ayanov, two Kazakh lawyers and activists sentenced to five years imprisonment following a trial that did not live up to the internationally accepted standards of #justice. In May, 2016, Max et Talgat participated in public demonstrations and published posts on their FB accounts criticizing the reforms of the #landcode and were sentenced to five years in prison. In February 2017, Max and Talgat were put on the list of people linked to #terrorist and extremist activities in Kazakhstan. OMCT with Kadyr Kassiyet (Dignity) and the Kazakhstan International Bureau for Human Rights and Rule of Law is submitting an Individual Communication to the Human Rights Committee on behalf of Max Bokayev and Talgat Ayanov. The right to defence is one of the fundamental human rights that is enshrined in a number of international agreements. The Universal Declaration of Human Rights proclaims the principle of equality of all before the law, the presumption of innocence, and the right to be examined openly and with all the requirements of justice by an independent and impartial court. In order to exercise their right to defence, prosecuted persons must have full access to legal services provided by independent lawyers and attorneys. According to the UN Basic Principles on the Role of Lawyers, everyone has the right to ask any lawyer for help in defending their rights and protecting them at all stages of criminal proceedings. According to the opinion of the European Court of Human Rights, lawyers play a key role in maintaining public confidence in the judicial system and act as intermediaries between the public and courts. Thus, they are an important element of the rule of law. As noted in paragraph 16 of the UN Basic Principles on the Role of Lawyers, governments shall ensure that lawyers are able to perform all of their professional functions in an environment free from intimidation and improper interference. Also, lawyers shall not be prosecuted or sanctioned for any acts committed as part of their professional duties. Unfortunately, in countries where democratic institutions are poorly developed and the rule of law does not work, lawyers and attorneys often become victims of persecution as well as various kinds of pressure and restrictions. This especially concerns those who participate in politically motivated cases. Lawyers and attorneys are attacked both by state institutions and authorities and by various criminals, against which the state is unable to protect them. This prosecution also involves professional associations that proclaim their aim to protect the rights and interests of lawyers, but are not independent of state bodies. At the moment, there are no effective mechanisms for monitoring the interference of the state and other entities in the activities of lawyers and attorneys. The solution could consist of adopting a special document that would protect lawyers and attorneys at the international level. The statutory goals of the Open Dialog Foundation provide for the protection of human rights, democracy, and the rule of law in the post-Soviet space. This report examines cases of harassment and attacks on lawyers and attorneys in countries such as Azerbaijan, Kazakhstan, Moldova, Russia, Ukraine,and Turkey. The latter is not a post-Soviet state, but it is a member of the Council of Europe and therefore has international obligations in the field of standards of law, democratic development, the rule of law, and respect for human rights.